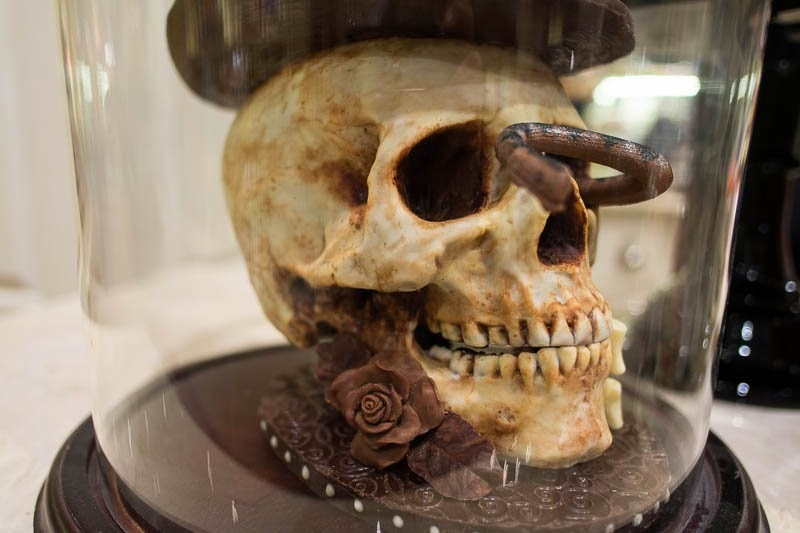 A creepy skull created in chocolate is Fortnum & Masons contribution to Halloween. Plus a range of chocolate tricks with delightful flavours such as fish sauce. That's a pretty realistic skull and I'll pass on the fish sauce chocolates. That's an interesting take on the idea of chocolate being the answer to a girl's problems! I would have to pass on the fish sauce chocolates too, but quite a vivid creation! Snakes alive - fish sauce chocolate!! That is one to remember! Lots of work put in to it. Fish sauce chocolate, I think not. But the skull looks realistic.